Today, Attorney General Mark R. Herring announced that he will sign “The Patriot Pledge,” committing to hiring more Virginia veterans, and will begin the process of making the Office of Attorney General a certified “Virginia Values Veterans” employer. During remarks to the 2nd Annual Virginia Values Veterans Summit, Attorney General Herring also signed the Department of Defense’s “Statement of Support for the Guard and Reserve,” pledging to support the men and women of the guard and reserve working in the Office of Attorney General. 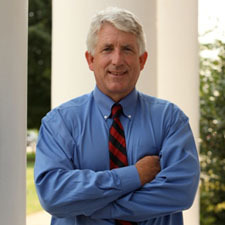 In addition to his hiring commitments, Attorney General Herring pledged to use his office’s consumer protection and enforcement operations to help meet the unique needs of veterans, active duty personnel, and their families. Because servicemembers are often away from home for long periods of time while on deployment, and because they have a steady, albeit modest, income, active duty servicemembers and their families are attractive targets for predatory lending, identity theft, illegal foreclosure or repossession, and credit card fraud.